Superior extruded aluminum round and square fluted, square panel or square smooth columns recreate traditional elegance at very affordable prices. Fashioned from sturdy long-lasting aluminum, these smartly styled columns are perfect for either remodeling or new construction. 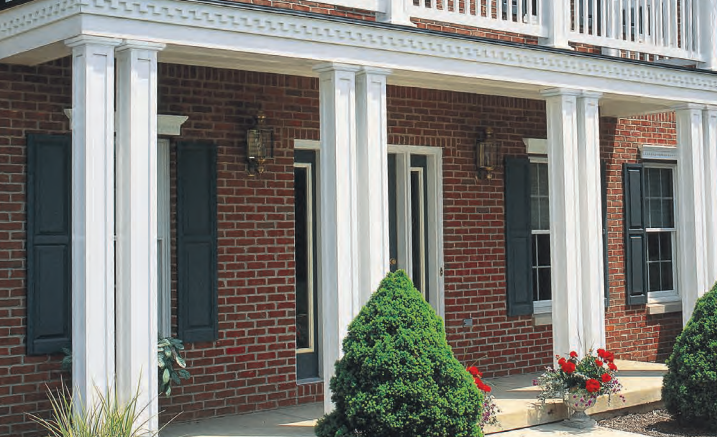 Our aluminum columns are versatile, too. They can be used to create a classical mood on homes, churches, office buildings, schools, libraries, motels, museums and other public buildings. Residential or commercial, indoors or out, beautiful aluminum columns are the low-cost way to add a touch of class to your architectural designs.